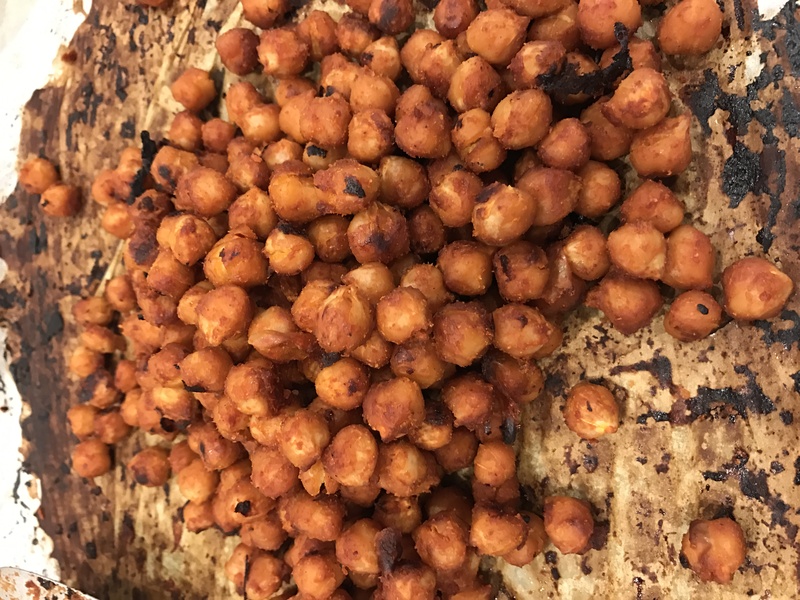 This quick and easy sauce turns plain chickpeas into flavorful little nuggets of goodness! Any salad or rice bowl you add them to will be happy to have them! Or simply snack on them out of your hand like I do! Combine all ingredients in a bowl with one drained/rinsed can of chickpeas and bake on a parchment covered cookie sheet at 400 for 30 minutes, stirring every 10 minutes. This entry was posted in Recipes and tagged baked, chickpeas, gluten-free, oil-free, snack, vegan by Shelly Detken. Bookmark the permalink.